A chorus of girls raise their voices to Beyoncé's protest song 'Freedom' in a campaign launching on International Day of the Girl to back the U.N.'s Global Goals for Sustainable Development. #FreedomForGirls is the latest film from Project Everyone, the initiative cofounded by filmmaker Richard Curtis that aims to raise awareness of the Global Goals. It launched on Wednesday – the sixth annual International Day of the Girl – on Google’s homepage in more than 45 countries. Beyoncé’s song "Freedom," from her 2016 album "Lemonade," provides the soundtrack for the video showing girls around the world singing and dancing in a call for greater gender equality. Director M.J. Delaney shot the film in locations including Tanzania and Washington, DC, and produced it in partnership with UNICEF and the Bill & Melinda Gates Foundation. It follows Project Everyone’s #WhatIReallyWant campaign from 2016, a remake of Spice Girls’ "Wannabe" to mark the pop song’s 20th anniversary, which was also directed by Delaney. The #FreedomForGirls release also comes a month after the inaugural Goalkeepers event, hosted by the Bill & Melinda Gates Foundation in New York to highlight the Global Goals during U.N. General Assembly Week. While last year’s campaign focused more broadly on women’s empowerment, this year’s film is putting the spotlight on younger girls for whom it is most crucial that the Global Goals be met. The tone of the campaign has also shifted from joyful optimism to an impatient call for action, Delaney explained. "The global political landscape has changed dramatically in the last year; a warm celebration of female solidarity is no longer enough," she said. 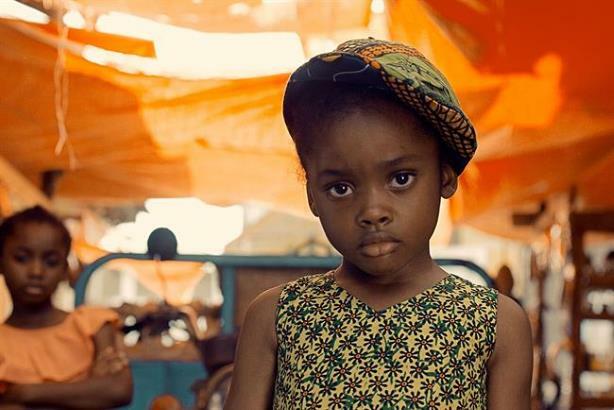 "This year’s film is defiant and demands change, with much younger girls giving a voice to a whole generation of little girls for whom it’s imperative that the Global Goals are met by 2030." #FreedomForGirls ends with statistics about issues facing girls around the world such as access to education, child marriage, trafficking, and female genital mutilation. It asks viewers to share the film and explain what freedom for girls means to them, while taking action with organizations including UNICEF, BeyGood4Burundi, Girls Not Brides, and Equality Now. Kate Garvey, cofounder of Project Everyone, said the film is a challenge to not only women but also men to take concrete steps to achieve the Global Goals. "I hope by next year when leaders gather in New York again for Goalkeepers, we are able to point to more progress around those issues such as access to education, ending child marriage, and ending violence against girls," she said. "If we are to hit the goals by 2030, there’s a lot of work still to be done. This is a timely opportunity to bring the voices of girls to the front of the campaign to achieve them."